Architecture historian Wim Nijenhuis charts the history of the concept of mobility and its significance for the city and its inhabitants since the Renaissance. Ultimately, the modern-day world city seems engulfed by the ethereal city-world, as the philosopher Paul Virilio argues. There’s only one way out: exit! Truck from Guatamala stopped at the Mexican border, March 1999. We find … the exit that leads us to cities that are based on movement. Mobility uproots. Along with the ideal of free citizenship, this experience was the foundation for the idea of human dignity. Giovanni Pico della Mirandola (1463–1494), ‘comet of his time’, was banished from Italy on suspicion of heresy and ultimately found sanctuary under the protection of Lorenzo de Medici in Florence. In his Oration on the Dignity of Man (1486) he wrote: ‘Man is his own Maker.’ He fashioned his idea of himself according to the rules of the Ars Combinatoria, that is to say through the combination and stylization of text fragments from the Christian tradition and the broad domain of Hellenic, Hebrew, Arabic and Gnostic thinking. His complex text calls our attention to the question of whether we are still free citizens and whether we can still fashion a dignified and coherent story out of our seemingly random experiences. This essential question for any uprooted individual is once again current, now that we have definitively been cast adrift in the ‘web of trajectories’ of our modern-day mobility machinery. Giovanni Pico’s freedom was not autonomy, but the struggle with Fortuna, the goddess of chance. The challenge was to forge subjective coherence and some sort of capacity to act out of the random ruptures occasioned by her whims. This art (of existence) demanded an ambivalent attitude that Giovanni Pico and other great personalities of the Renaissance absorbed from Gnostic texts. Exodus, the Gnostic fixation on ‘egress’, helped them give shape to their otherworldliness: to be in but not to be of this world. To Giovanni Pico this was the gift of immobility: ‘If one is the centre, one remains the gauge of oneself under all circumstances,’ and he advised: do not become too entangled in the world, be nowhere with your heart and nowhere with your sinew. Giovanni Pico undoubtedly travelled on horseback, at the time the fastest mode of transport available to man. In accordance to his otherworldliness, his departure consisted of ‘distancing’ and ‘mounting’. He distanced himself from his home land, and the stupendous velocity of his mount abruptly cut him off from the places he passed. To depart is to withdraw. We experience the same phenomenon today in the car, the train and the airplane, all of which tear us away from our immediate surroundings. In this context, the expression ‘to mount’ is evocative. Giovanni mounted his horse and we mount the train. Before we are carried off by the prostheses of mobility, we first make an upward movement. This levitation had a particular significance for Giovanni Pico, given his pronouncements on the vertical movement of the soul between the apex of mania and the nadir of melancholy. Trapped in an incomplete ascension, he floated above the ground as a hostage to his own speed. The saddle, which enabled him to spare his legs, transformed the horse into a moving seat, a hippomobile chair, which like the chair at home now provided support for the sedentary passenger during his displacement. While the ailments of travelling by foot were avoided by the mobility of the horse, the iniquities of long periods spent sitting, such as the numbing compression of his posterior, were remedied by motility: continually shifting this way and that. This incessant motility made it possible to forget the immobility of his own body, and to forget the vast expanse of the territorial body, the mobility of the animal body was swift and violent. Melancholy gnawed at the spirit of Giovanni Pico. His gaze was fixed on the ground, as though he were seeking, in this way, to ward off being uprooted. The ‘home’ during the Renaissance was the house in the city, that is to say the house in a geopolitically defined immobile (immeuble: immovable property) and demarcated ‘place’ with a historical persistence. At the same time, its limits delineated the (military / legal) territory of a community that fabricated itself like a work of art. The techniques of the Italian Ragione dello Stato (reason of state) served to create a rich and powerful home for the free citizen. During the Eighty Years’ War the Italian city-state became a model for the Republic of the United Netherlands, a new form of state whose geopolitical dimension remained the most significant feature of the modern nation-state that succeeded it. The culture of the Renaissance was based on the appearance of things, the paint on the canvas, the bricks that made up a building, the perspective that presented itself. The invention of the railway initiated a culture of disappearance. With uniform speed the machine raced forth over a course that was flattened and emptied: the earth’s surface reliefs vanished under bridges, tunnels, excavations and embankments; crossing gates and fences kept out man and beast; dissidents were swept away with cowcatchers. The gaze from the wagon windows averted vertigo by focusing on entities in the distance. This panoramic view eliminated the foreground, transformed the surroundings into scenery and, in the process, signalled the desertification effect of speed on a mental level. Engine drivers compensated for the shocks and vibrations of the industrial ensemble by bouncing on their toes, and the passengers exhausted themselves in compensating with involuntary muscle contractions. From the observation of the elastic capabilities of cats and tigers was born the idea of combatting this ‘fatigue’ with springy material. With the introduction of spiral coils under the wagons and inside the horsehair-upholstered seats, the industrial violence vanished beneath an almost maritime and comforting rocking. The writer Gustave Flaubert (1821–1880) experienced the train journey as a variation on waiting. As looking out of the train window over-stimulated and bored him, he would start to weep himself stupid. Getting on dead tired shielded him from this misery by means of a healthy nap, and he correlated ‘withdrawing from the surroundings’ with ‘departing from one’s person’. 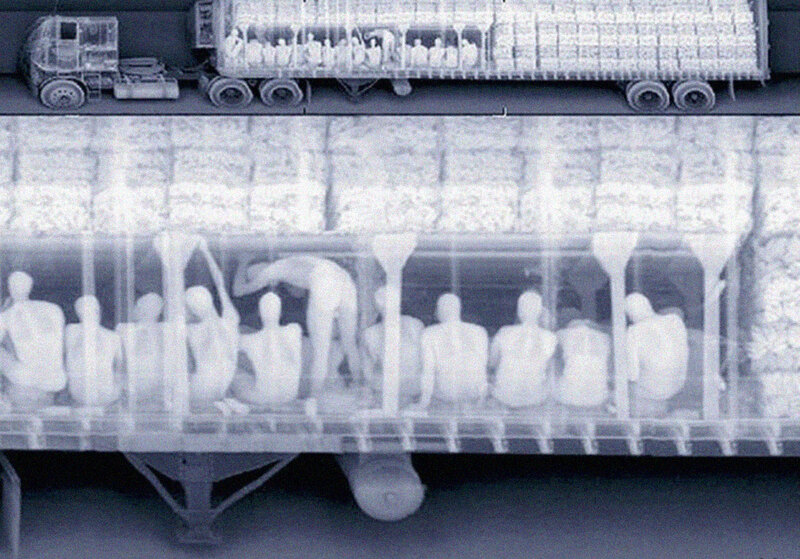 This ‘retreat into apathy’ became the habit of many passengers. Their dozing testified to the fact that for them distance had disappeared in favour of the time span of the journey. With the train began the steady liquefaction of the classical city. The former ‘place’ mutated into the ‘web of trajectories’ of the modern metropolis. The restrictive form of settlement was obsolete as a principle of security and wealth, and it was replaced by the principle of unfettered circulation. Spurred on by the railway station at its edge, a network of broad streets snaked its way across what had been the urban ‘sanctuary’ of the past and linked it with newer and newer suburbs under the pressure of the masses being dragged along in the flow. Henceforth the city was a system of ‘refuges, which man has reserved for his brief or permanent abode whenever he yearns to cut himself off from the great movement that propels humanity’, said Ildefons Cerdà in his General Theory of Urbanization (1867). In Paris, great thoroughfare boulevards radiating from the train stations were laid across the existing city between 1853 and 1869. In contrast to the medieval alleyways and open places that had been stages for everyday neighbourhood life, they reflected a new idea of the city, predicated on mobility, mass, and progress. In 1848 Friedrich Engels wrote that ‘the boulevards, the great arteries of Parisian life, were the stage of the first great gatherings’. Max Weber (1864–1920) observed of Rosa Luxemburg and Karl Liebknecht: ‘They mobilized the street, and the street killed them.’ The boulevard made the street the new ‘place of politics’. The boulevards afforded room for social mobility. The working-class girl Nana in Émile Zola’s novel mingled with the bourgeoisie as a cocotte, and driving with her latest lover to and from the Théâtre des Variétés this femme fatale cast her alms, from the height of her carriage, to the local residents that stayed behind on the pavement. In his essay ‘Total Mobilization’ Ernst Jünger (1895–1990) wonders why the majority of people are willing to be placated by the heightened level of activity of the modern metropolis. The secret, he says, lies in a representation of freedom that blinds people to the fatalist nature of mobilization. In practice, mobilization means the subjection of life to prescriptive demands. The useless disappears and everyone is conscripted into a great advancing ‘storm assault’, which also leaves its mark on the urban environment and cultural thinking. Mobilization, Jünger says, is an act of fate, because it is the inevitable continuation of logistical warfare in peacetime. During the First World War, production capacity and logistics were challenged beyond a point of no return, which definitively transformed all societies into ‘volcanic metal factories’ in competition with one another. The futurists went off in search of their freedom ‘in speed’. In the charging automobile they sought the technological substitute to the femme fatale. Just as this vector woman whisked her lovers away from reality by beguiling their senses, so was the car the vector machine that revealed a world beyond perspective. Marinetti named his racing car Nikè, goddess of victory: the victory was over the solidity of the view of the world in favour of its generalized liquification (liquidation by liquifaction). The motorways tamed the car. The liquid tumult of the environment was converted into a panoramic ‘film’ fluidly streaming by, even as the design of petrol pumps, viaducts and landscape suggested a last confinement in the unity and the measure of the national territory. Goebbels said about the autobahn: ‘Risk, but with comfort.’ The driver firmly ensconced in padded clothing, resembling a moving mummy, vanished behind the windscreen into a cabin. The smoothness of the motorway, the softness of the seats, the supple suspension and the muffling of the engine noise and of the whistling wind produced a ‘heightened sense of well-being’, that helped one forget the ‘iron roughness’ of the speeding vehicle. Gradually the enclosed cabin evolved into our ‘mobile living room’ of today, with as typical technological problem the quality of the ‘liberated seat’. The ultimate phase of this process was unveiled on television some time ago by a BMW advert. We see a car driving in the rain. In the front sits the driver, in the back a middle-aged gentleman. He has a reading lamp, a mobile phone, a laptop and a small television screen. Everything exudes the feel of an imperturbable interior. The gentleman pays no attention to the landscape rushing by, because he is occupied with information coming at him at a speed the car can never reach. This sedentary passenger ‘inhabits’ the time of the electronic information that simultaneously, at the speed of light, fixes the car in the relatively inert form of a traceable and localizable abode. 'Total Mobilization' brought us the ‘dromocratic’ (dromos: race and path) megalopolis, where the art of creating ‘unknown soldiers of speed’ out of all social categories has been perfected. Since the Second World War we have seen the city, with its set place and its set dimensions, gradually dissolve into the currents of the traffic system. First the metropolis of trajectories vanished into the commuter city, scattering pieces of the urban around the surrounding countryside. The fluid freedom of movement of the car then brought about the urban sprawl, which is now dissolving in turn into the nebular city – the fusion of urban areas – putting an end to the traditional contrast between city and country, while the relationship between centre and periphery is being upended by Edge Cities along the motorways. ‘Being on one’s way’ is becoming a regular component of daily life. Those who surround us and give the impression of staying put will often disappear forever. Everywhere we see the disintegrating and destabilizing effects of the pulsating breath of the transport system that deports all the former inhabitants in all directions. The majority of the people who can be found in an urban neighbourhood at any given time leave again, either because they work there but do not spend the night there, or because they spend the night there but do not work there. Where is the city dweller? Where is his neighbourhood, his refuge? Is the bus or the commuter train now where relationships are initiated? We have to learn to see the residential neighbourhood as an ‘elastic range’, sometimes stretched by a holiday, and the inhabitant as a ‘temporary citizen’, whose habitat can no longer be localized. Fascism waged politics by addressing ‘citizens sent on their way’ through radio speeches. Between the mobiles on the roads and the immobiles at home, the radio established a connecting speaking space, an elastic sonosphere, in which one could be home even when one was on the go. During the Second World War, British hostesses kept the minds of bomber crews off the horrors of the moment by keeping them riveted to the familiar atmosphere of the home front with soft whispers. Electronic means of communications like television, video and the Internet put an end to the ‘situation’. Because video technology, as we know it from security cameras in parking garages, can instantly present places located at any distance from the observer, it replaces the classical unity of place, shared by the observer and the observed environment, with a new and unique unity of time: real time. The direct view, dependent on the transparency of the air or the glass, is supplemented by video with an indirect view to which distance and opacity are no obstacle. At the same time, the relationship to reality changes, because the real-time presentations initiate a ‘teletopological reality’ in the consciousness of the observer, that is to say that not only do the places come to him thanks to electromagnetic transfer technology, but he also mentally transports himself to the places observed, without the actual distance playing any role. Topologically means that reality has acquired an elastic topography, while the prefix ‘tele’ alludes to the black holes created in the mental map of the observer by the loss of the unity of place. Once the static teletopological reality of the video security system is supplemented by moving cameras attached to balloons, on cars and in satellites, a global, virtual and dynamic environment will emerge, in which real time will always be the essential unifying principle. The consequences of this can be investigated using a hybrid vehicle that will replace the view through the windscreen of the car and that could be modelled on the cockpit of a flight simulator. The traveller need no longer go anywhere to see other places; he need not even leave the house. For this fusion of dwelling and vehicle, techno-philosopher Virilio introduced the term ‘habitacle’. The absolutization of its interior will come at the expense of the threshold, the architectural detail that was the symbol of the relationship between ‘home’ and ‘city’ and the locus of the neighbourly chat in the doorway. Where is the inhabitant of the habitacle now home? His location-specific dwelling interior with the threshold at the exit will mutate, thanks to communication technology, into an abstract ethereal ‘site’, or better yet, an electronic anamorphosis of the threshold. The ‘politics of the polis’ presumed that citizens had to leave their houses in order to take part in public affairs, but public affairs, under pressure of the habitacle, will increasingly be oriented towards those who stay home. The public space will be besieged by the public image on the display monitors. The monumental environments in the city, with their hard materials and their set dimensions, will be confronted by moving and elastic images flowing by as an organized stream, which cannot fail to make an impact on social, sexual and economic relations, which become less and less solid by the day. In the third millennium, the nebular metropolis is being affected by the first symptoms of ex-urbanization, whereby the ‘chosen place’ and ‘the electeddomicile’ are being edged out by ‘sites of departure’. After the housing debacle, which was precipitated by unsecured mortgages and the credit crisis, the real estate sector is now seeking refuge in the latest mutations of the geopolitical city gates of the past. Throughout Europe and Asia, as a result of the latest acceleration brought about by the high-speed train, we see reconstructions of railway stations and airports that simultaneously attempt to transform them into new urban centres. What is being created is the Exit City, a logistical platform dedicated to the general outsourcing of its inhabitants, for which Airport City Schiphol and the Utrecht Public Transport Terminal are still only scale models. Here ‘urban potential’ is synonymous with the ‘potential of the sites of departure’, that is to say of the number of ‘passengers in circulation’. City outskirts have to become ‘high-quality urban centre areas’ (Dutch Ministry of Public Housing, Spatial Planning and the Environment), ‘ultimate sites of urbaneness’ (Dutch Government Railways Architect), ‘sites where the transport flows become one with … urban centres’. In December 2010 we got a taste of the ‘potential’ this fusion will produce, when snow and mismanagement forced thousands of stranded passengers to spend the night on the floor, on the benches and on the quickly improvised cots of the airports and railway stations. In comparison with the acceleration of progress, which continues to be the privileged domain of such electronic devices for instantaneous transfer as the mobile phone, transport systems have no more to offer than a gradual yet crucial expansion of transport capacity. Their focus is no longer on speed, but on the reduction of delays in the sites of transfer and transit, the ‘multimodal platforms’, where separate modes of transport like the car, the taxi, the (hired) bicycle, the bus, the tram, the metro, the train and even the airplane come together. The strategy is derived from the just-in-time distribution logistics of freight transport, the quantities of which have increased exponentially, to the detriment of storage in warehouses. This also explains the (network) position of all those sites along the coasts of continents where ground and air transport is being combined with maritime freight. The source of this transport revolution is undeniably at sea; it is a revolution in ‘load capacity’, symbolized by the container ship. 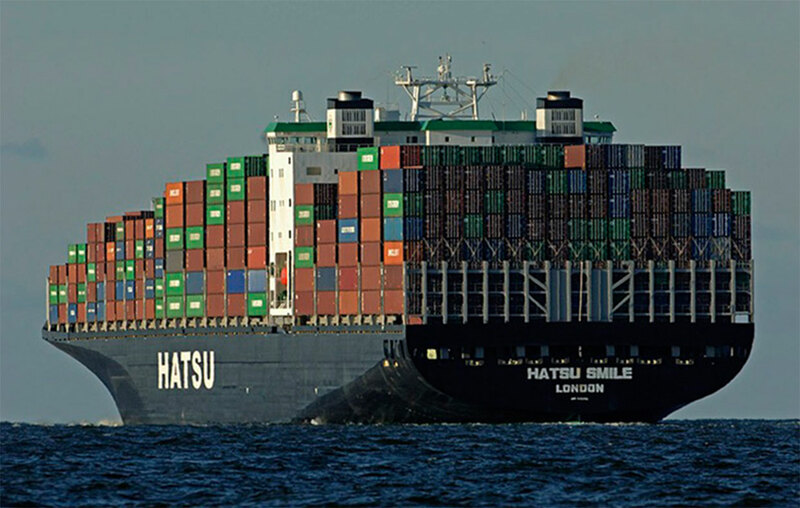 A relatively new type of vessel is the ‘open top’ or hatchless container ship. The advantage of the open top is that it speeds up loading and unloading times, since it is unnecessary to stop and remove the water-tight hatches that cover the holds of other types of container ships. 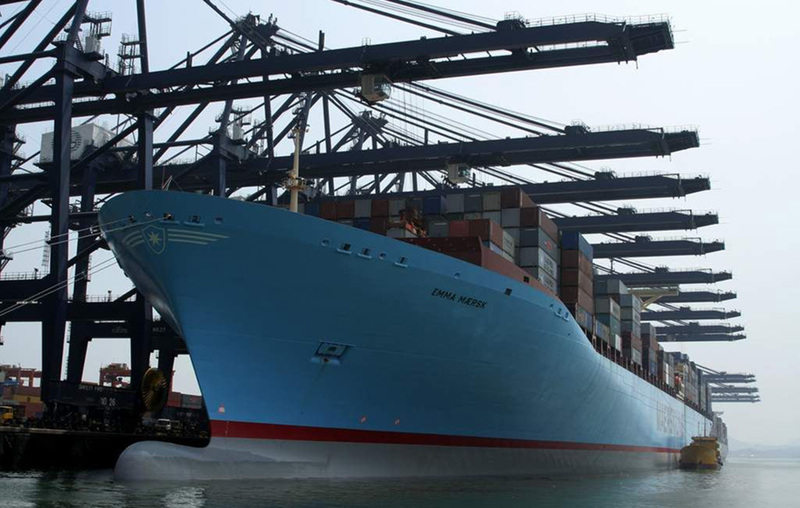 Eleven cranes simultaneously unload the largest container ship in the world, the Emma Maersk. This casts a unique light on recent exercises in ex-urbanization, such as the proposal in The Hague in 2007 to house 40,000 Polish immigrants in containers, after this had become common housing practice for students in the abandoned docklands of Amsterdam. The Exit City is based on movement, but its currents are relatively ‘fixed’ by a fusion with the ‘omnipolis’, which, supported by Internet and satellite communications, can crop up anywhere in ever-changing compositions. In the omnipolis, ‘time’ city and interconnective domain of the global real-time community, life is not based on the ‘inertia of a place’ as in the polis and the classical city, but on the ‘inertial effects’ resulting from instantaneous, electromagnetic connections. The first inertial effect comes from the instant traceability of anyone by means of GPS tracking, electronic ankle bracelets (to which Julian Assange was sentenced by a British court in December 2010) and implanted chips, limited for the time being to animals in the wild. We must keep in mind that as mobility increases, control over it will intensify. A second inertial effect lies in the fact that the real-time connections of the omnipolis, through their instantaneous and ubiquitous nature, cause an effect of contraction in our mental space, which surpasses that of the globalization of capital transfer and the world economy. The inhabitants of the omnipolis will be ‘planetary people’ clinging to their devices, for whom the world has shrunk to an ‘abstract and ethereal point in the void’. In the global city currently under construction, geographical space, with its set distances, will take second place. The transport system, but especially the ‘distanceless gaseous form’ of the omnipolis, which is everywhere and nowhere, and penetrates everything, will undermine not only the boundaries and laws of a state but also the local identity of its individuals, indeed the whole idea of dwelling. Always traceable through security cameras and GPS, and thanks to the mobile phone and the laptop, the lifts, the escalators, the stations, the display monitors and the airplanes, the dweller of the past will transform into the ‘sedentary nomad’ of the near future, who will be home everywhere (and nowhere). The ‘abode in the flow’ or ‘dwelling in traffic’ that catapults the erstwhile city-dwellers in the era of globalization undermines the geopolitical foundation of the elected domicile and the meaning of the address in the city. Whereas the city in antiquity was the immobile centre of the world, with the Exit City we have dispensed with geography, for its centre consists of electromagnetic connections that know no place and distance. Today’s axis mundi is the sacred axis of real time, spinning around itself like a whirlwind the intercontinental streams of those other nomads who are home nowhere except in the streets, the stations, the boats, the tents and the camps. In his 2010 Spinoza lecture ‘Humanism: The Human Being as Work in Progress’, Richard Sennett brings up two exiles: Spinoza and Pico della Mirandola. In their personal victory over their displacement, he sees a lesson for our world, ‘filled with mobile people – economic migrants and political exiles’, because the uprooted migrant could find its unity in the life story it tells. Sennett adds that modern capitalism turns ‘everyone into a work migrant and many into work exiles’. Holding together the fragmentary experiences that result from displacement and job loss, and that are often sources of suffering and disorientation, Sennett says, requires the ability to take a step back: ‘The social challenge people face in doing so comes from those workplaces, political regimes, religions and ethnic cultures which demand absolute immersion and total engagement.’ In order to achieve distance we ‘need an idea of ourselves as simultaneously engaged and detached’. This could entail a prominent role for the city as a ‘material factor’. The city, to Sennett, is primarily a ‘tribological training school’, where by learning to deal with conflict, resistance and discomfort we can find a home base after all, as he has argued throughout his oeuvre, beginning with Flesh and Stone: The Body and the City in Western Civilisation (1994). Although Sennett’s thinking about distance and friction is influenced by the aesthetics of existence of Michel Foucault, with his allusion to Pico della Mirandola he places the Gnostic problem of the exodus, the egress, on the agenda. Playing with the egress makes possible a new form of critical behaviour, what Peter Sloterdijk calls ‘otherworldliness’ in ‘Die wahre Irrlehre’ (‘The True Heresy’, 1993). This was the quest of ancient Gnosticism, which formulated for the first time in history a dualist principle that makes possible an attitude of ‘as if not’: that is to say living in this world, without being of this world. ‘We are not of this world and this world is not of us,’ said the Cathars, who without the other world they believed in would have been effortlessly inserted into the only remaining ‘world monster’ and would have lost themselves in the ‘endlessly twisting coils of its bowels’. For both Sennett and Sloterdijk our ‘dissolution of the global imperative’ will demand an attitude that is dependent on training, discursive practice and imagination. Exile is a typically geographic phenomenon. In the free cities of the Middle Ages, the exile was someone who was condemned to reside extra muros, that is to say outside the city, and who could no longer come back within its legal territory. To signify banishment, the jurisdiction of the city was demarcated by banning posts. The condemned person was considered to have left the city once he or she had gone past these. This punishment was not one directed at the outsider, but at the person who had left his or her home behind in the city and whom banishment cut off from friends and family. If in an attempt to resist the integration pressure of the labour market or of our ethnic group we seek refuge in the solid and physical world city of the future, what kind of city will that be? How can we have meaningfully practiced interaction with an environment full of cameras, detectors, body scanners and tracking devices? Ultimately … as we ascend the escalators of the Exit City, the air terminals and the public transport terminals, under the watchful eye of security cameras and automatic scanners, surrounded by the streams of the public image, grab our mobile phone and proceed blindly on our way because we are concentrating more on the audiovisual pseudo-shape of the other carried over electromagnetic waves than on the flesh-and-blood people around us … do we not find, in the blink of an eye and without any discursive strategy whatsoever … the exit out of the physical world? From the Powerpoint series Container Ships for Big Harbours. Wim Nijenhuis is an independent architect / writer on the history and theory of architecture, urban design and art. He introduced Paul Virilio in the Netherlands and wrote De diabolische snelweg (The Diabolical Highway, 2007). See: home.hccnet.nl for a updated biography.